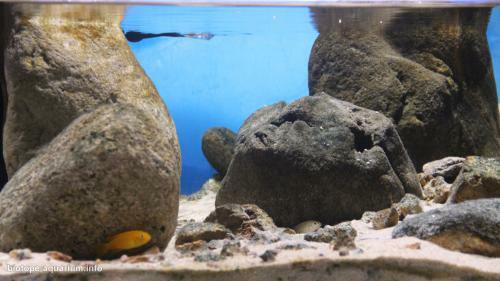 Description of decorations: The white granite have been the closest resemblance to the rocks in Nkhata Bay and other ecoregions of Lake Tanganyika, which I can find in China. That is the bigger one used here for the main stone. And I used small ones and some other irregular rocks as the gravel. The substrate comprise fine beige sand and some samll snaill cells which is like the cylindrically coiled Melanoides. Back ground is a selected blue plastic bag. Description of equipment: The filter is a bottom sump integrated with the main tank driven by a 5W pump. Light is a 10W LED spotlight of 6500K. Water parameters: Temperature is about 24- 30℃, PH is 8. Description of the area surrounding the biotope: Nkhata Bay is a district in the northwest part of Malawi, which is along the shores.The district is very mountainous and is covered with green vegetation, making it look beautiful. This is due to a number of factors such as the fertile soil but mostly due to the district receiving lots of rain throughout the year. A peninsula divides the bay into the south bay and north bay. Its small sheltered harbour is a focus for the Lake’s fishing industry but it is also becoming increasingly important as a tourist centre. Description of the underwater landscape of the biotope: Nkhata Bay’s is mainly a rocky shoreline, besides there is a swampy area at the south bay which is called Crocodile Creek. The water in most area is clear for diving. As other usual landscape of Lake Tanganyika there is mainly rocks. Upper rocky zone there is sediment-free, while the deep rocky zone is sediment-rich. Seldom aquatic plants are found there. Description of the parameters of the habitat: PH of the water is about 8.3. The temperature of the water fluctuates with the seasons. In the dry season it can be as low as 20° C and in sheltered bays in the rainy season as high as 30°. List of fishes and invertebrates occurring in the nature biotope: Nkhata Bay is also a hotspot for cichlids , so there are up to 70-90 species inhabited, included most famous sand-dewelling Haps, Utaka and Mbuna, such as Aulonocara stuartgranti，Aulonocara sp. 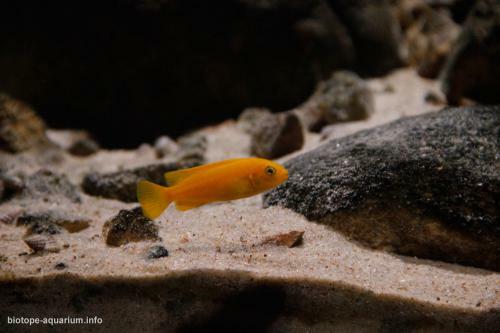 ‘chitande type north’ ，Aulonocara sp. 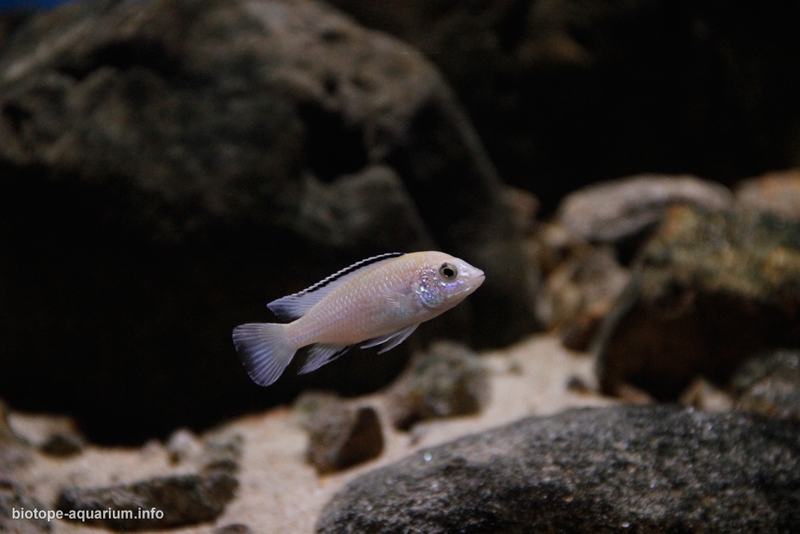 ‘lwanda’ ，Dimidiochromis compressiceps，Fossorochromis rostratus，Copadichromis borleyi，Copadichromis virginalis，Labeotropheus trewavasae，Labidochromis caeruleus，Lethrinops spp.，Metriaclima callainos，Metriaclima sp. ‘zebra gold’ ，Metriaclima zebra，Protomelas sp. ‘steveni imperial’ ，Tyrannochromis nigriventer and so on. 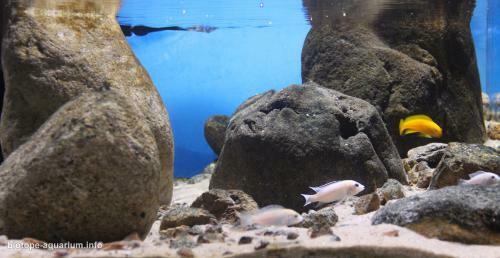 And it’s several species’ type locality, such as Chindongo minutus , Labeotropheus trewavasae and Copadichromis borleyi. Mainly two genera Lanistes abd Melanoides of snails could be found here. List of plants found in the nature biotope: Rarely aquatic plants. Most be some reeds over the noth shallow beach and south swampy area. The underwater films and videos on Youtube from Pete Barnes and et al. Ad. 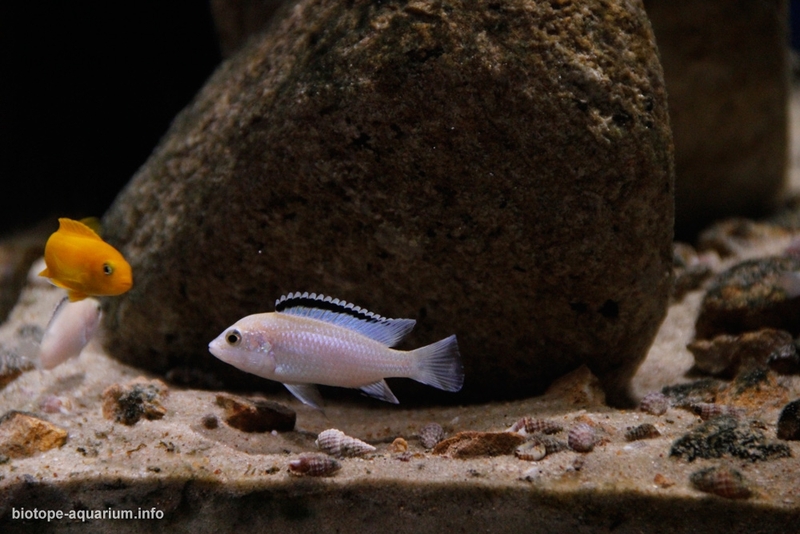 Koings’s books Malawi Cichlids in their natural haitat 5th Edition.